Offers site-level optimization and aggregation to any level, such as by node or ISO, to provide situational awareness of the specific generation asset or entire portfolio. Includes forecasts at both hourly and 15-minute resolution. Both datasets are updated every 15 minutes and extend out to seven days. Output is available through a web-based time-series graphical user interface and as a data feed for integration into automated processes. 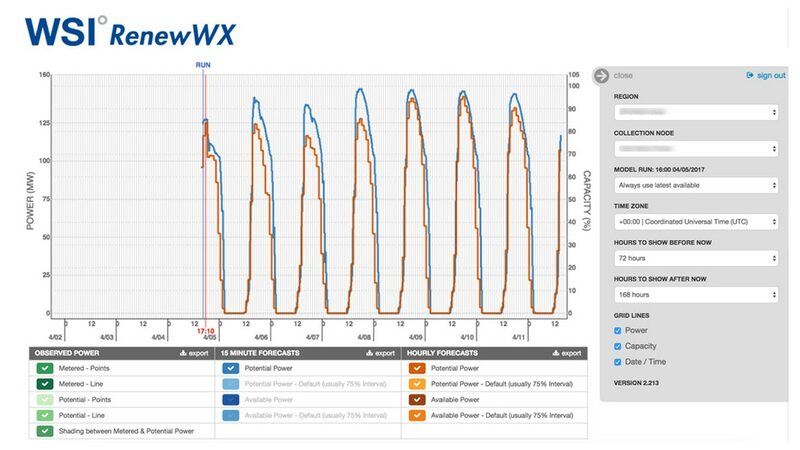 Wind and solar generation forecasts are available globally. Simply provide your site latitude and longitude coordinates. Watch videos to learn more about this product.